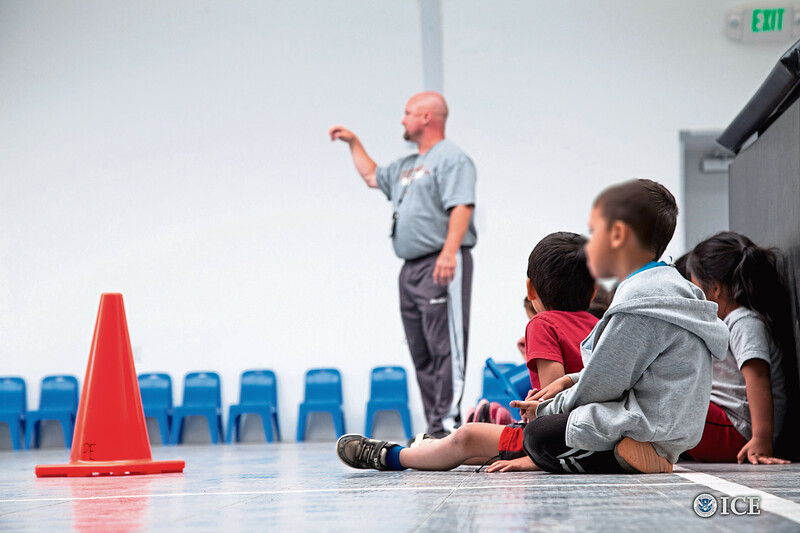 Children prepare to play inside gym at the STFRC in Dilley, Texas. SCOTTISH pension funds have invested millions of pounds in firms bankrolling Donald Trump’s migrant camps, we can reveal. The pension funds of Scotland’s public service workers hold at least £138 million in investment firms backing the president’s immigration detention centres. The funds are managed by international finance firms with huge investments in GEO Group and CoreCivic, America’s largest private prison operators. The investment strategies of Scotland’s biggest public service pension funds came under scrutiny yesterday as critics demanded an urgent review of where their money is invested to ensure they are not directly or indirectly supporting President Trump’s contentious zero-tolerance immigration policies. Politicians and public service trade union leaders urged the fund managers to review their investments yesterday. Dave Watson, head of policy and public affairs at the Unison union, said: “Scottish local government pension funds need to do more to support ethical investment than bland policy statements. “They need to look harder at where the money is going, including pooled nvestments that can mask bad practice. Strathclyde Pension Fund, which manages the pension funds for 230,000 Scottish public service workers, has £52m invested across Blackrock, Vanguard, Aviva, St James’s Place, JPMorgan Chase, and Wells Fargo – all of which fund the US prison operators. Lothian Pension Fund, with more than 65,000 members, has investments worth £28m with General Dynamics, a multinational defence firm with US contracts to process migrants aged under 16, and Wells Fargo. North East Scotland Pension Fund has investments worth £58m in Blackrock, St James’s Place, Aviva and Vanguard. The revelations come weeks after it emerged migrant children were being separated from their parents and detained in border camps after trying to enter the United States. Footage and audio tapes of distressed children caged in large warehouses attracted global condemnation. The criticism forced the White House to end the practice of separating families after at least 2,300 children were taken from their parents. Amnesty International has called on the US Congress to end the practice of detaining families seeking asylum and for the release of parents and children. The private detention sector in the US has boomed since President Trump came to power. Following a crackdown on undocumented migrants there has been a surge in detainees to about 40,000 and the Department of Homeland Security is considering adding space for 15,000 more people. Shares in GEO and CoreCivic, which have donated millions of dollars to the Republicans, have made huge returns for investors since President Trump took charge in 2017. GEO Group runs 11 immigrant processing centres in the US and one detention facility for families in Karnes County, Texas. CoreCivic runs eight, including one for families, the South Texas Family Residential Centre, in Dilley, Texas, which has been branded “Baby Jail” by critics. A campaign is under way in the US urging firms to stop bankrolling the private detention sector. 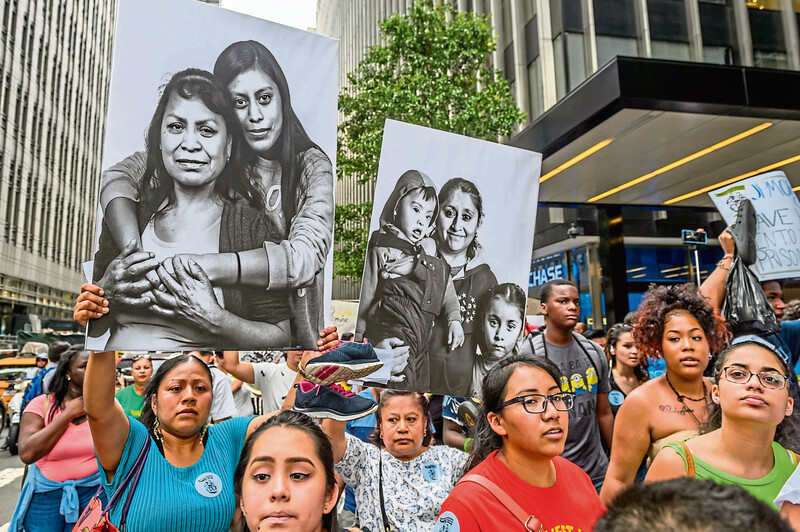 The #FamiliesBelongTogether coalition of more than 70 organisations called on finance firms to pull their money out of CoreCivic and GEO Group and there have been protests in Texas and Wall Street. Willie McGonigle, regional officer for the Unite trade union, said: “Most Unite members would be shocked and disgusted if their pension is helping to bankroll Donald Trump’s migrant camps. CoreCivic said: “None of our facilities provides housing for children who aren’t under the supervision of a parent. We do not operate shelters for unaccompanied minors, nor do we operate border patrol facilities. Both Lothian Pension Fund and Strathclyde Pension Fund invest directly with General Dynamics – £24m and £1m respectively – a firm which processes migrant children for the US Government. General Dynamics said: “We have provided support to unaccompanied minors. Yesterday, the Scottish public service pension funds said they were committed to ethical investment but that any involvement in the US detention firms would be indirect and difficult to influence. Lothian Pension Fund said it has a duty in law to “invest for the best returns to ensure pensions are paid when due”. The investment firms Aviva Investors, and St James’ Place, defended their investment strategies as ethical and responsible and said the funds were managed by third parties. Wells Fargo declined to comment but Vanguard said: “Children separated from their families is deeply saddening, and an issue of this magnitude needs to be solved by our elected officials.